Maintaining your website uptime is critical to your business’ success. That’s why it’s a good idea to sign up for a service that will monitor your uptime and notify you the minute your site is down. This way you can get your site back as soon as possible to minimize downtime. Here, I’ve picked 5 uptime services to compare. This is my personal favorite. And the best thing about it – it’s free! 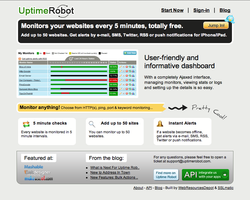 Basically, Uptime Robot is all about helping you to keep your websites up. It monitors your websites every 5 minutes and alerts you if your sites are down. Uptime Robot only downloads the HTTP headers of a website which means it doesn’t download the analytics tracking codes of Google Analytics, etc. 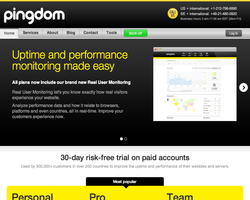 Pingdom has a very strong and narrow focus on covering the uptime monitoring needs of 90% of the companies & other users in the world. It does offer a very basic free account. Although the free service only lets you monitor one site. 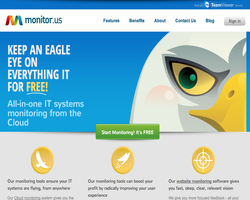 Mon.itor.us is the free little sister service to Monitis and offers a simple set-up for its external monitoring. As well as alerts, the app tracks failures and logs a report of the uptime/downtime of your website per day, week or month and makes the reports available to you in real time. 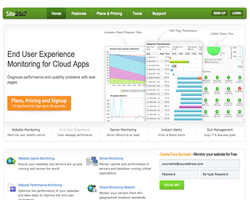 Site24x7 is a web infrastructure monitoring service that helps to monitor the uptime and performance of websites, online applications and servers. The monitoring is done from 40+ locations across the world, thus giving you a global perspective of the end-user experience. Site24x7 supports monitoring HTTP, HTTPS, SMTP, TCP, IMAP, SSL, Ping, FTP, SFTP, DNS and other internet facing network services. 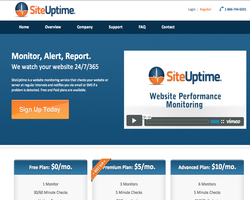 SiteUptime provides over 125,000 website owners with an online service for monitoring their website availability. Their services are designed to provide any webmaster or website owner with a fast, effective and automated method for ensuring that their website is active and working properly.